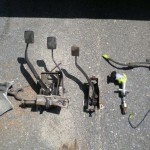 Clutch pedal, master cylinder and line. 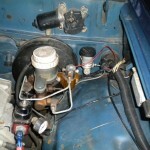 Firewall side, clutch master cylinder in place. 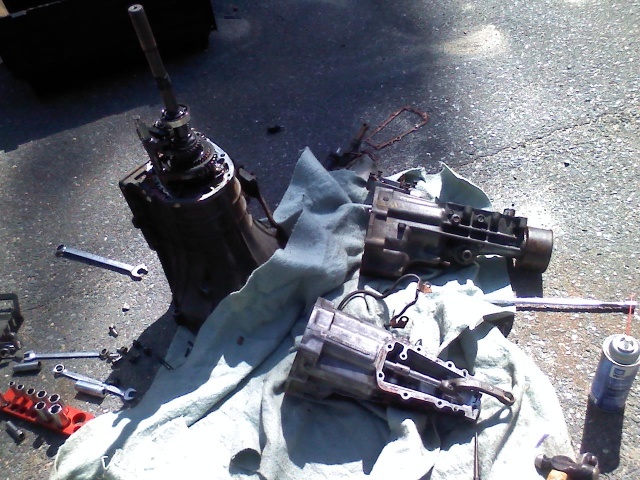 Transmission installed with hydraulic parts working! A few weeks ago, I began preparing my truck for future upgrades because when I start making real horsepower I don’t want it to explode into a million pieces. Project #1 was upgrading injectors to larger ones (650cc). I won’t actually be using this extra fuel yet, so for now I had to tune out about 30% of the fuel to make it run at a normal air/fuel ratio. Once the injectors were in and tuned properly, I took it for a ride down the street. Much to my surprise, my truck felt amazing! It felt that way right up until the clutch started slipping and smoking. 🙁 I knew that I was getting close to the limits of my clutch, so I immediately started project #2, which is where this story really begins…. Dodge Ram 50 and Mitsubishi Mightmax pickup trucks come with cable actuated clutches, which work excellent with stock applications. 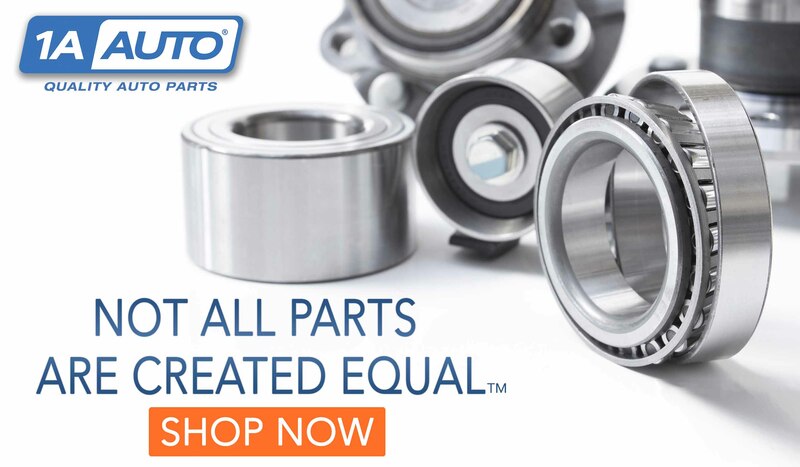 Un…Fortunately, I have a highly modified truck that needs a far stronger clutch to hold the power. This is where the cable clutch falls short. Since it is mounted in the center of the firewall, without much support, stronger pressure plates cause the firewall to flex, and the pedal to be extremely difficult to push down. My solution to this was to swap from cable to hydraulic. This was not easy in any sense of the word, but it was one of the best upgrades that I have done. 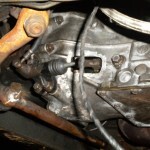 – 1983(ish) Dodge Ram 50 Turbo Diesel bell housing cutout, slave cylinder, clutch master cylinder, clutch line, and clutch fork. 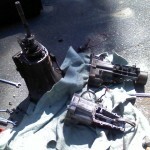 I pulled my transmission out in record time (about 40 minutes!) and immediately dug in. The first thing I did was pull the tail section off so that I could replace it with one from a Starquest. 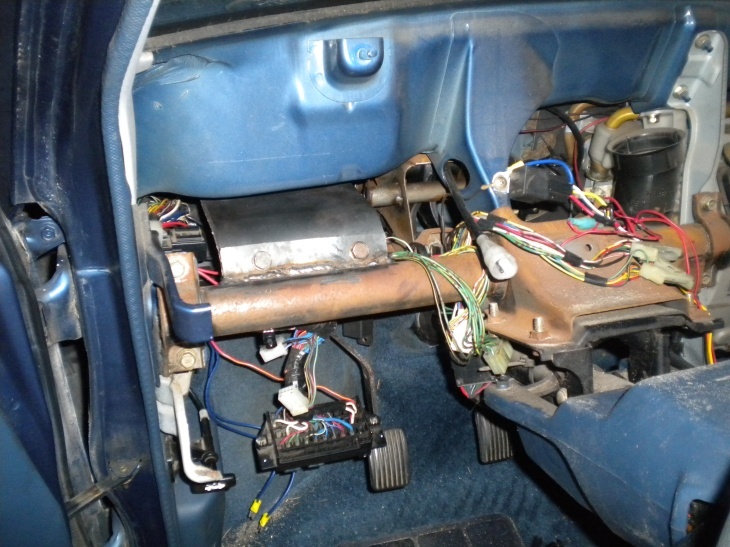 Since my turbocharged 4G63 engine sits about 2.75″ forward from where the original 2.6L engine did, my shifter went with it. It really didn’t make it uncomfortable to drive or anything, but it did make it impossible to use a factory console (which is very rare and cool). 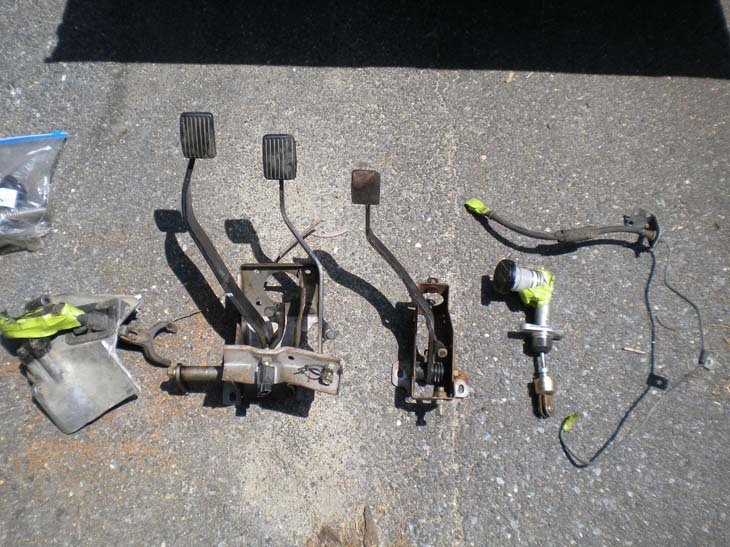 Starquests have shifters about 2-3″ further toward the rear, thus, it was a perfect swap for my truck to get the shifter back to where its home was. Next up – Cutting and welding! Once the tail was finished, I cut a section of the bell housing out to make room for the new slave cylinder mounting location, and began fitting the new section in. I then TIG welded it in place and cut the hole for the clutch fork to poke through. Naturally I needed a pivot ball for the clutch fork and I happened to have one for a 2G Eclipse that worked perfectly. It took a few hours to get all of these pieces working together harmoniously, but eventually it all fell into place. There is something very wrong about cutting the side of your transmission off, but once the fear of possibly failure, it is quite refreshing to do something so potentially stupid. Onto the clutch pedal! 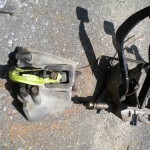 The hydraulic clutch pedal was actually more work than I had hoped because I needed to pull the dashboard out to make a mounting bracket for it. 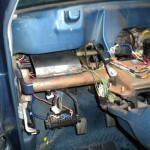 Luckily the dashboard in my Dodge Ram 50 is an easy one to remove. I made the mounting bracket out of 3/16th steel plate. Since I am not a fan of doing things that aren’t reversible, or things that cause more damage than good, I kept all welding on the interior side of the wall. 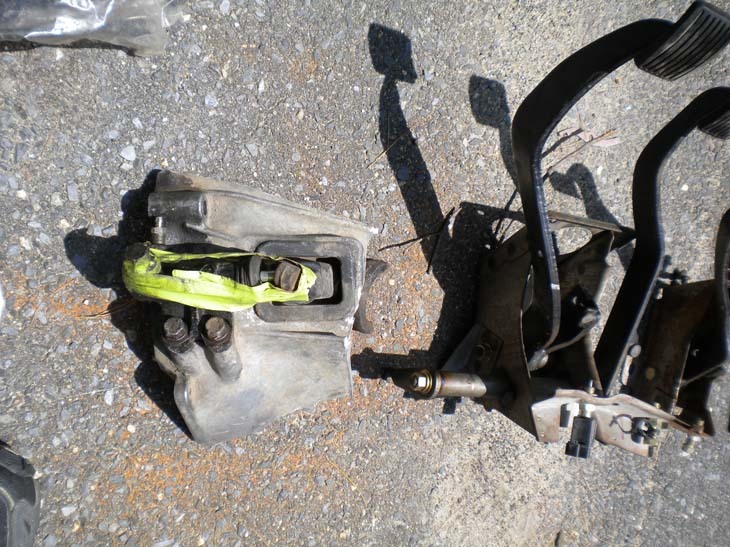 If I had welded the pedal bracket to the bottom of the upper cowl, it would have burned the paint away on the exterior side of the cowl, causing rust, and eventually rot. I also made it a bolt in so that it could be removed in the future for whatever reason. 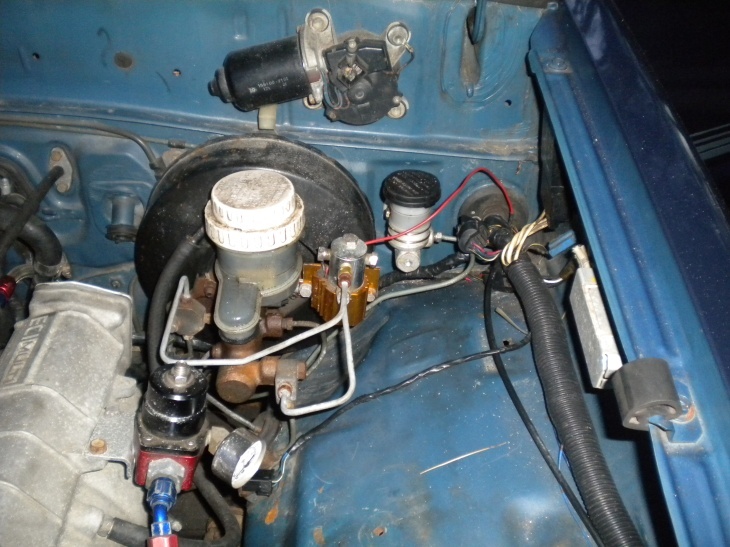 On the firewall side of the pedal sits the clutch master cylinder. drilling holes through the firewall was necessary, and they needed to be the right sizes and shapes if you wanted it to look legit. Luckily, I nailed it first try and made it look quite pretty if I do say so myself. All of this would be worthless if I wasn’t putting a stronger clutch in, so naturally I threw in the stronger one. 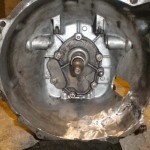 It was the basic clutch installation, nothing really fun or exciting about it. 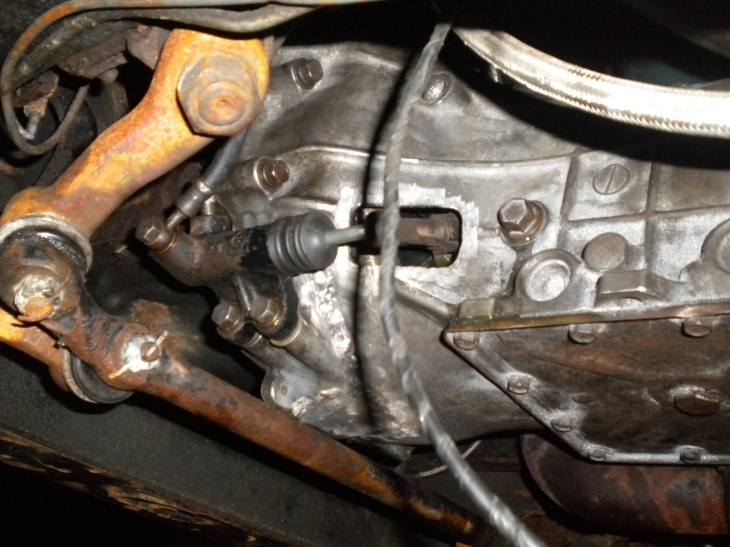 The transmission was then heaved back into place (while laying on my back, in the rain, in an icy cold puddle). It slide right into place without any issues, which was shocking because it normally takes some jiggling to get it all lined up. I then reinstalled the bell housing bolts, attached the drive shaft, the transmission mounting brace, and everything was officially in again. The hydraulic lines were attached from the clutch master cylinder to the slave cylinder, and the system was bled for maximum awesomeness. 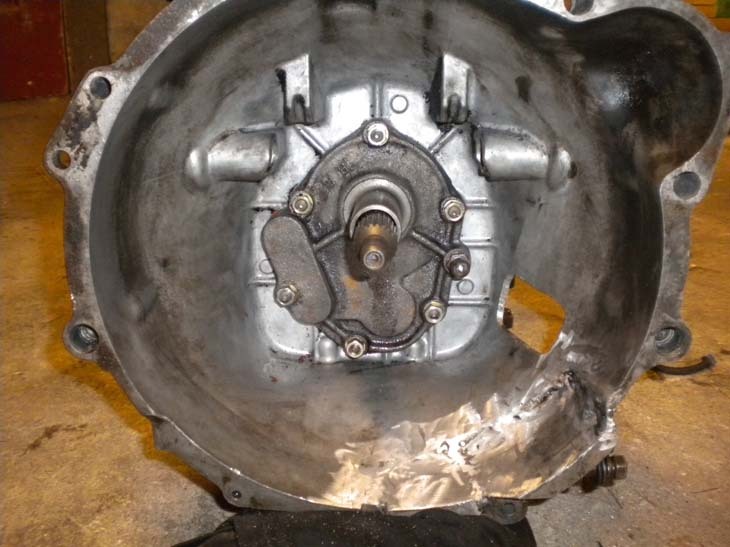 The job was finally done, and the clutch was officially hydraulically actuated. It was easier to push down than ever before, felt absolutely amazing without any firewall flex, and even held the horsepower when I cranked the boost up. Overall, I would say this was the 2nd best upgrade to my truck, just behind the turbocharged engine itself. Hmmm… somebody must be single! if so try the parts washer in the kitchen trick, just modify the drain. I have been known to use cookie sheets and the oven to warm up parts, but it has been made clear that the sink is off limits! Clever Sales Pitch: Armor All Wheel Protectant. If you had this car: What would you do with it?